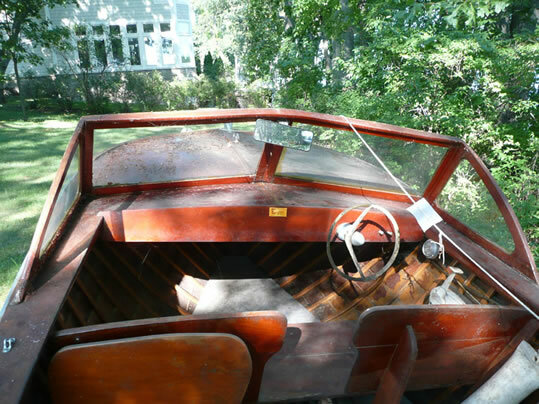 This is an original 1960 (or 1961) Grady White 17 1/2 foot wooden runabout Model Hatteras ... we're the original owners. 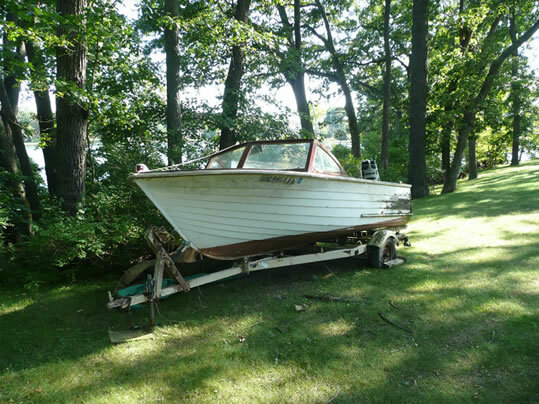 Perfect size for the wooden boat enthusiast, easy to trailer. 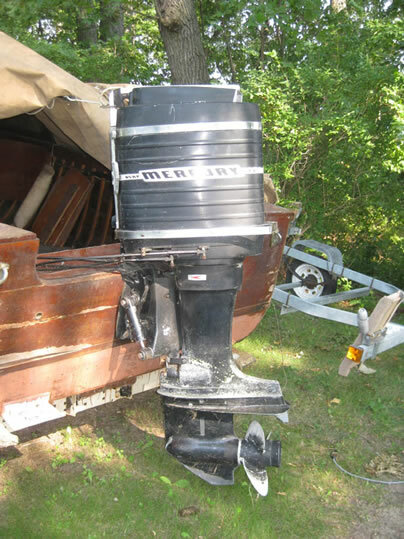 Boat, trailer and 85 HP Mercury outboard offered at $1500 OBO. 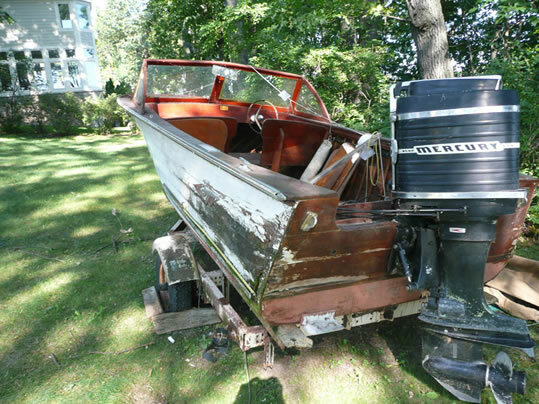 This lapstrake boat is a prime candidate for restoration. About 48 x 24 of lapstrake and about 1/4 of the transom need repair/replacement. Otherwise it's in good condition with original equipment. This is one of the earliest Grady Whites made, a true classic. A great boat! For more information please call 248-982-2448.